H.E. 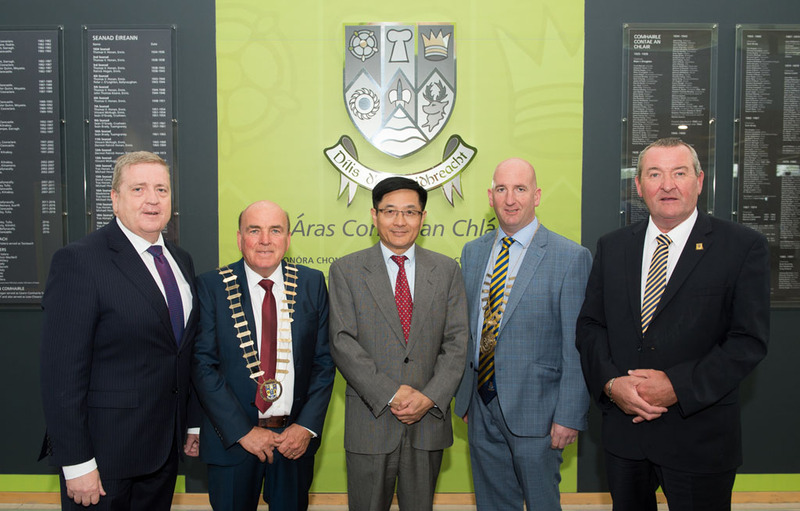 Dr. Yue Xiaoyong, Chinese Ambassador to Irelan, with Deputy Pat Breen, Minister for Employment and Small Busines; Councillor Tom McMamara, Cathaoirleach of Clare County Council; Paul Murphy, Mayor of Ennis Municipal District and Pat Dowling, Chief Executive Clare County Council at Aras An Chlair. Photograph by John Kelly. Chinese Ambassador to Ireland, H.E. 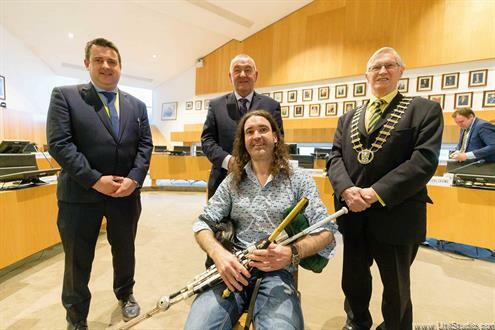 Dr. Yue Xiaoyong declared his intention to return to Clare for Fleadh Cheoil na hÉireann again this August, accompanied by many of his fellow countrymen and women. During this week’s visit to Clare for a meeting with representatives of Clare County Council, facilitated by the Minister for Employment, Trade, Business, EU Digital Single Market & Data Protection Pat Breen, the ambassador outlined the potential of furthering relationships between Clare and China. 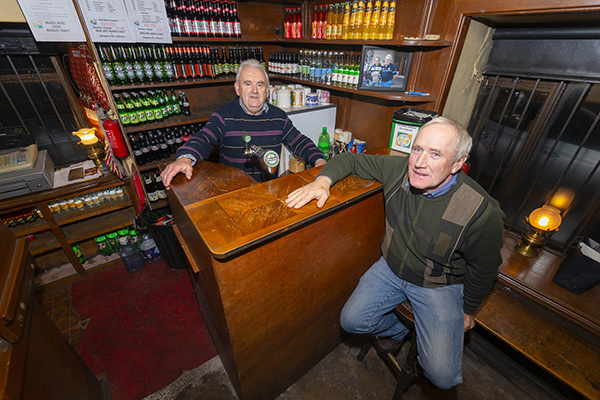 County Clare is already twinned with the south western Chinese province of Yunnan, while a formal link between the Burren and Cliffs of Moher Geopark and the Stone Forest Geopark (Shilin Geopark) in Yunnan also exists. Accompanied by Consul General Xu Erwen of the Chinese New Zealand Consulate and Minister Breen, the ambassador also took time to visit the Cliffs of Moher following his trip to Ennis. “Ambassador Yue Xiaoyong is particularly aware of what Clare can offer Chinese tourists and is to the fore in encouraging his fellow country men and women to visit this county and take advantage of the Wild Atlantic Way,” said Minster Pat Breen. “The relations between China and Ireland is multi layers and diverse and includes trade relations, tourism, food produce and agricultural education, so visits and meetings like those held on Friday are very valuable to the local economy,” added the Clare minister of state. “The ambassador acknowledged that Clare has much to offer the Chinese in terms of trading potential, tourism, education in safe food production, animal husbandry and food traceability. He also spoke about the Shannon Estuary, commenting on the deep estuary waters and its potential for future trade deals with China,” said Minister Breen. “He explained that China views Brexit as an internal EU matter, but is conscious of Ireland’s position as the largest English speaking EU economy after the UK have left the union. 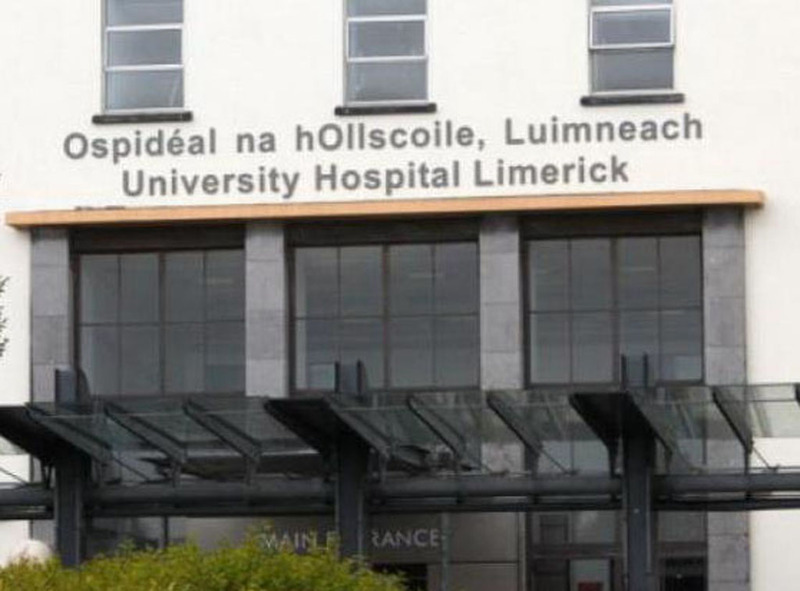 However he maintains Ireland has many economic advantages even pre-Brexit – including our education system, skilled employees, language and international trading laws. “China and the ambassador are also anxious to learn from Ireland when it comes to high standards in farming practices, and the ambassador once again took the opportunity while in Clare to visit a farm in Sixmilebridge,” said the Fine Gael junior minister.